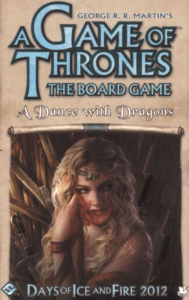 Dance with Dragons is an expansion to the Game of Thrones 2nd Edition, and as far as board game expansions go, it’s simplicity meets elegance. It brings the story up-to-date to the fifth book by providing 7 new House cards for each House to use in combat, along with placement cards to guide how each House’s units and influence should be set up. In other words, it’s an alternate way to play the game that breathes some fresh air into it for veterans. Warning: Unlike the last one, playing this expansion contains spoilers for those who have not read up to the fifth book, or watched up to the fifth season of the show. That said, knowledge of the world is unnecessary to play the game, and knowledge of the story doesn’t give you any advantage. Additionally this review will only make sense to those who know the core game: if you’re looking for a “how to play,” check out my previous article on it. First off, the game starts at Turn 4, which makes for a shorter game overall. Also, most of the map is covered in units and power tokens, which jumps past all the normal build-up that takes place in regular games. Cailin and the Twins already occupied, instead it rewards pushing contested areas early to secure more land before others reach it. There’s a sizable Baratheon force along the Wall and in the eastern ocean, while Greyjoy holds the western waters and the spit of land to the left of Winterfell. Stark’s new cards are also much more offensive: Roose Bolton is a basic 4 with 1 Sword, but Ramsay Bolton is a 3 that gets +1 and THREE swords if you have Reek in your hand. Reek is a 0 that returns Ramsay from your discard pile, and if you lose the combat, returns Reek after combat too. So you can bully your way through multiple combats with 4s, as long as you play Reek at the right moments. Meanwhile, Walder Frey is a 1 that, true to form, shifts any support a third player is giving your opponent toward you instead. Here’s a strange one. House Baratheon has the vast majority of its units all the way up north, in the top two “Stark” areas, and the sea to the right of them. Meanwhile it has one unit at its capital in Dragonstone, which is surrounded by Tyrell ships and units, and another at Storm’s End, which is surrounded by Tyrell and Martell units. The new House cards are pretty strong for Baratheon. Stannis as the 4 has the ability to cancel all support (including your own) in a given combat, helping assure your victory in a straight-up fight. Jon Snow as the 3 can increase or decrease the Wildling Track marker (up to 10) if you win, which synergizes well with Mance Rayder as the 0, who makes your final combat strength equal to the Wildling Threat token. Which can turn that lone, unsupported Footman into a 10, as a best case scenario: not enough to stop the most dedicated assault or defense, but not too shabby either. And finally Melisandre as the 2 finally gets a power, and one that fits her lore too: she can “revive” a card from your discard pile by paying its Strength in Power tokens (so Stannis would be 4, while Mance would be free). map, they’ve clearly got options in regards to unit movement. They start with land units on Pyke, the Stony Shore up north, and the Searoad Marches down south. The new Cards keep Greyjoy as powerful as ever, though in new ways. Euron is a 4 with the unique power of adding +1 if the opponent is higher on the Fiefdom track. Since Greyjoy starts with the Sword again, this is largely useful later in the game in case you lose it, to ensure that you might still win what would otherwise be a tie. Aeron got a huge upgrade: still a 0, this time he lets you discard Power Tokens to raise his power, making him potentially the strongest card in the game. He works well with Qarl, a 1 that, if you are attacking and lose, lets you gain 3 Power Tokens. This can easily be taken advantage of with an ally you trust: just use a single footman to attack a place it can’t possibly win against, and have both of you use weak cads, so you can use Qarl for money and they can get rid of some trash and regain their hand faster. Finally, Rodrik is a 2 that gives a very unique power: if you win, he can search a Westeros deck and put one of the cards on top. Need a Muster? To the top it goes. Need to consolidate Supply? Up with ye. Want to force a bid on the thrones? So mote it be. Lannister has a fairly solid starting position, with a ship in The Golden Sound and control of most land between Lannisport and King’s Landing, but has no knights to start with, making early musters important if it wants to keep its territory from Tyrell or Greyjoy incursion. They also hold the Iron Throne rather than the Raven this time around. Lannister cards seem weaker overall, and in many cases I prefer the original versions, but there are a couple powers worth noting. Ser Ilyn Payne makes an appearance as a 2 that, if you win, lets you snipe an opponent’s Footman from anywhere on the map… and if it’s their last unit on a space, they remove whatever Order token is there. Qybern is a 0 that lets you discard two Power tokens to copy the printed combat strength and combat icons (sword/fortresses) of any card in any discard pile, giving you another potential 4 or 3 to use. Martell has another very solid starting position, with all “their” land already in control, and 2nd position on both Fiefdoms and King’s Court tracks. Of course, Tyrell is right on their western border, Baratheon holds Dragonstone, and Greyjoy has a naval route directly into their lands, so what alliances they form, and where the choose to muster first, is still very important. Of all the new House cards, Martell’s are the most disappointing. Doran Martell is a 4 that gets -1 combat strength and gains 1 Sword and Fort for each card in your hand… so at either extreme, it can be a flat 4 with no Swords/Forts, or a 0 with 4 Swords/Forts, both of which are so situationally useful that the card is useless unless the stars align. Ser Gerris Drinkwater is a 1 that, if you win, lets you move 1 position higher on an influence track of your choice, which would be useful if he wasn’t a 1 or you didn’t have to win. And ironically Quentyn Martell is potentially the best card, as a 1 that gets +1 combat strength for each House card in your discard pile, upping him to a possible 7. Overall I wouldn’t begrudge any player at my table from preferring to use original Martell House cards rather than the new ones, especially the loss of their amazing 0… you can tell how little effort was put into this House when one of the cards, a 2 with a Sword icon, is named Big Man, the generic sounding nickname for the actual character Archibald Yronwood. Tyrell has a strong starting position, with a high amount of units, land and water in a virtually unbroken line from The Arbor to Shipbreaker Bay, and positions 2 on Iron Throne and 1 on King’s Court. But those advantages come with having potential enemies on every front, with Greyjoy to the west, Lannister above, Martell below, and Baratheon to the east. The new Tyrell cards are a fair shake to the old ones. 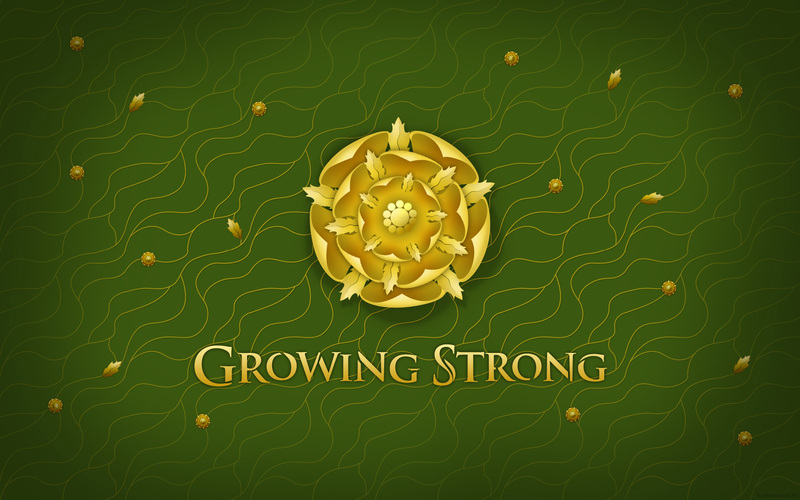 The loss of Loras is daunting for offensive plans, but defensively Margaery Tyrelll is a solid 0 that turns any army attacking your Capital or a space with your Power token on it into a final strength of 2, regardless of support or House card bonus. The Queen of Thorns is a 1 that ignores all text abilities on opposing House cards, an invaluable counter card to some of the more nasty tricks opponents have, if you can properly anticipate them. And finally, Paxter Redwyne is a 1 that doubles the strength of your participating ships in sea battles, virtually assuring at least one naval victory with the three ships around Dragonstone. The replay value of Game of Thrones has a lot to do with the people you play with, and the alliances that are formed and broken from one game to another. Not only is playing as a different House a very different experience, but even playing the same House with different alliances leads to a completely different game. Take Greyjoy for example. Because they have access to the entire western coast, and some of the southern, they have tons of options on strategies to win. If they decide to join with Lannister, they can grab the Arbor easily on the first turn for some constant Power token income. If they side with Tyrell, they can jump all the way down into Martell lands and start carving them up from beneath. Or they can say “screw the south” altogether and just head north with all their units, fortifying the lands around Pyke’s waters or attacking Winterfell. Baratheon has a much more defensive concern to their alliances. Storm’s End is allowed the usually neutral garrison to help it not get immediately overrun, but with 3 Tyrell ships around Dragonstone, they can’t reinforce either position from the outside, and since they start at 5 on the King’s Court, they can’t muster initially either. So Baratheon needs to ally with either Tyrell or Martell if it wants to keep them. Of course, Tyrell and Lannister can easily decide to join forces, which secures King’s Landing for Lannister and frees Tyrell to deal with Martell. Baratheon could theoretically ally with Lannister instead, as both have an easy common enemy in Tyrell, but this would free Tyrell and Martell to ally with each other, which would make things very difficult for Baratheon unless Greyjoy jumps in and messes with Martell, perhaps for some returned assistance up north. 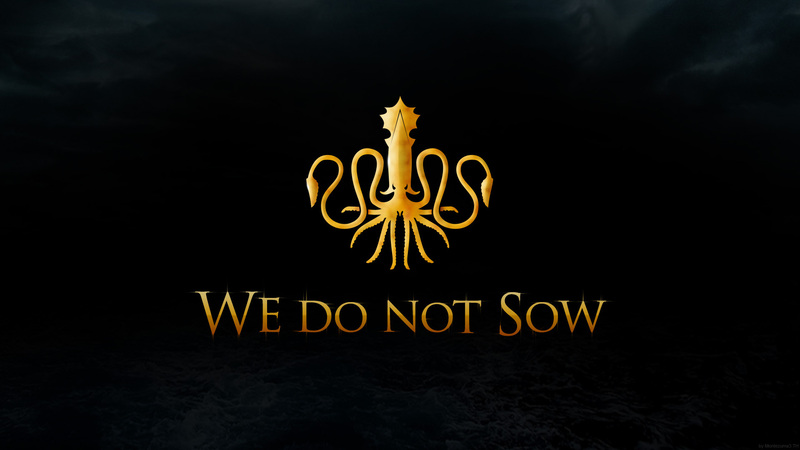 Otherwise, Stark and Baratheon are generally a safe bet for an alliance, as Stark and Greyjoy have much more to fight over, and is mutually beneficial for both: it frees Baratheon’s units to head south and try to support his castles, and in the meantime helps Stark kick Greyjoy out without worry. Of course, late game Stark and Baratheon will likely be at odds over the empty spaces around the Eyrie, but by the last few rounds any and all alliances are generally accepted to be mutable anyway. Overall I’d definitely recommend this expansion to anyone who enjoys the base game, as it adds a lot of extra replay value to what’s already a fairly complex and adaptable experience. May the gods be with you, Old and New.